For directions to our hotel, please visit the Map and Directions page. 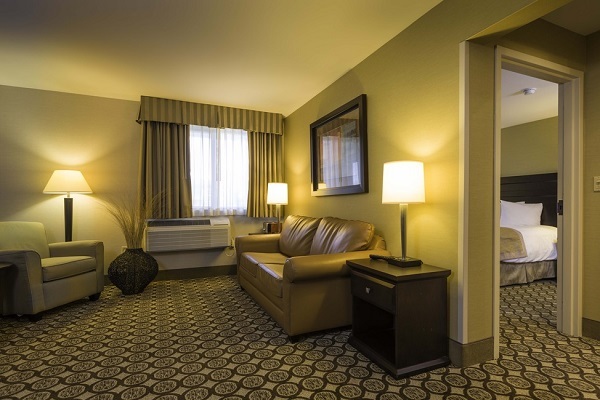 Best Western Plus InnTowner Madison is centrally located in a quiet, neighborhood near several athletic facilities, dining, shopping and entertainment, along with a wide variety of visitor attractions. At Blackhawk Country Club we specialize in large weddings. We are committed to providing the very highest quality food and service in a warm and welcoming atmosphere, topped off with the finest view in the city. 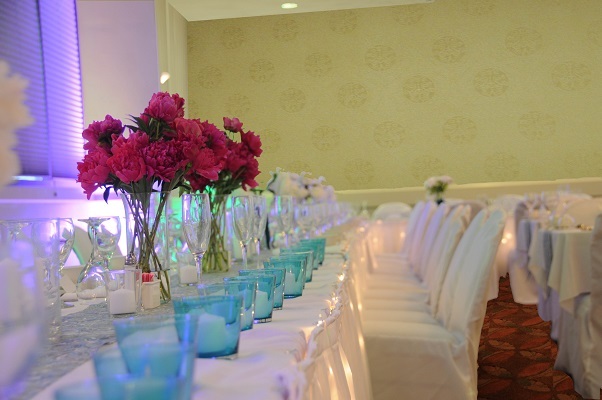 Best Western Plus InnTowner Madison works directly with the Blackhawk wedding planners in providing upscale guest rooms and transportation for their value wedding guests. Capitol Square. Plenty of vegetables, fruit, cheese, meat, bread, pastries, honey, and more. An elegant showcase of art and decoration. Free, public tours offered April though August and during the holiday season. Free and open every day, home to 800 animals, representing 200 different species. Fun and education for all ages. Marathon runners and spectators can enjoy the breathtaking City of Madison! The race is held on the first Sunday in November. A Frank Lloyd Wright-designed community and convention center on the shore of Lake Monona, in the heart of downtown Madison. Beautiful views and photo opportunities. 16 acres of outdoor gardens, free and open to the public daily. Visit a bit of tropical paradise year-round in Olbrich’s Bolz Conservatory, a glass pyramid filled with exotic plants, bright flowers, a rushing waterfall, fragrant orchids and freeflying birds. A world-class forum for diverse artistic expression, of both local and national artists. For a full listing of local events including the Farmer’s Market, Concerts on the Square, and the Dane County Fair. For a diverse mix of shopping opportunities, restaurants, shops, and the Memorial Union, visit State Street’s many popular attractions. Held Labor Day weekend on Madison’s Capitol Square, the event showcases more than 60 local restaurants, 16 beverage stands and 4 entertainment stages. No charge for admission or for entertainment. Restaurant vendors will be selling various items from their establishments priced between $1 and $4. UW-Madison football, basketball, hockey and 22 other exciting sports. #1 Rated Miniature Golf Course, Top 100 Golf Range in America. Par 3 golf course, baseball & softball batting cages, free short game area, water wars, HiBall, rock climbing wall, and George Vitense Golf Academy (PGA professionals). Explore Wisconsin’s distinctive heritage and a variety of other American history topics through artifacts, photographs, full-scale dioramas, audiovisual presentations, and interactive multimedia programs. Visitors can see the unique textures of 43 varieties of stone from around the world, hand carved furniture and exquisite glass mosaics. 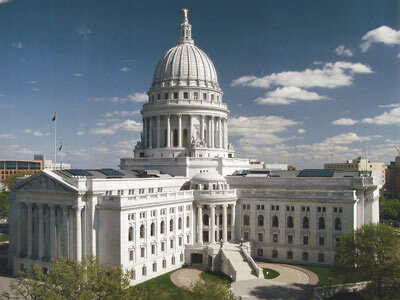 Visit council chambers, the Governor’s conference room, and the WI State Supreme Court chambers. museum and observation deck open during summer months. “Living room of the campus.” Hoofers Outdoor Recreation, delis, restaurants and Lakefront Terrace. Discover the social, cultural and recreational center of the University of Wisconsin-Madison campus: live music, films, game rooms, art alleries, guest lectures, mini courses, craft shop. A wide range of activities and more than 1,000 events a year brought to you by students. An international meeting place for the dairy industry that offers the most elite combination of dairy cattle and exhibits in the world. Rent canoes, kayaks, rowboats, paddle boats, sailboats, rowing shells, windsurfers, paddle boards, a pontoon boat, inner tubes, swim rafts, and fishing poles for use on Wingra Lake, just a few minutes from the hotel. Middleton, WI. Brewers of award-winning, world-class beers since 1986. Stop in for a tour of the Brewery, browse around in the gift shop, stop in the Bier Garten for beer, soda, and entertainment. Bier Garten open May-September. National Natural Landmark; Blue Mounds, WI. Guided tours on paved, lighted walkways lead visitors past an unforgettable array of crystal formations, gemstone mines, and fossil digs. The constant temperature in the cave makes touring comfortable all year round. Fitchburg, WI. Family fun for everyone: Sesquicentennial barn, apples, pumpkins, hayrides, festivals, Haunted Halloween, and more. Tour Frank Lloyd Wright’s home and school May through October. Riverview Terrace Cafe, gift shop & bookstore open daily. Monroe, WI. Old-world tradition at an out-of-this-world celebration. Enjoy Swiss entertainment, a carnival and much more. Watch as cheese is made. Cambridge, WI. A real dairy farm open for tours. See baby animals in the spring and visit the corn maze and haunted barn in the fall. Spring Green, WI. This miraculous house is situated atop a rock and includes amazing collections, including the World’s Largest Carousel. Baraboo, WI. A world-renowned conservation center featuring 15 crane species, restored prairie, and Whooping Crane wetland exhibit. Daily guided tours. See website for details. North Freedom, WI. An outdoor living history museum and operating railroad recreating, preserving, and interpreting the small town/shortline way of life from the “Golden Age of Railroading” spanning the years 1880 to 1916. While in the area, visit the New Glarus Brewing Company brewery and gift shop. The gift shop offers a wide variety of merchandise from clothing to glassware to keychains and stickers. All of their brews can be purchased in the gift shop, including the R & D Series which is available exclusively at the Hilltop Brewery Beer Depot. Mt. Horeb, WI. Winter fun at its best. Only 18 miles west of Madison. Downhill skiing and snowboarding for all skill levels. Prairie du Sac, WI. Winery visitors are invited on a guided tour that includes the rich history of the winery as well as an explanation of the tradition and modern wine facilities. Emphasis is on education and enjoyment of wine as a responsible lifestyle. The tour concludes with a wine tasting. With water rides, shopping, and the beautiful scenery, it will be hard to decide where to spend your time. Some options are: Wisconsin Ducks, Inc., Mt. Olympus Theme Park, and Noah’s Ark Waterpark. Whatever your destination, getting around Madison is easy with our free parking and free hotel shuttle service (within two miles of the hotel). You’ll avoid congestion and extra travel costs by letting the InnTowner get you where you need to go. Check out the Events Calendar for upcoming Madison-area events.